For a generation of youngsters, the word ‘phone’ will conjure up images of sleek touchscreen selfie machines and social networking devices that can also do something called ‘phone calls’. For the rest of us, though, phones will forever be chunky plastic monstrosities that barely fit in your bag and could only store a few texts at a time. Here are our favourite retro phones of all time. Share yours in the comments! The 5110, like most Nokia phones, was built like a tank and had an insane battery life. It was also one of the first phones to include the epic Snake, which isn’t actually that great if you go back and play it now but was probably the best game ever made at the time. And if you found the standard black too corporate, you could snap off the front and swap it for something more colourful! No one even cared that the screen was about the same size as a mouse’s window. 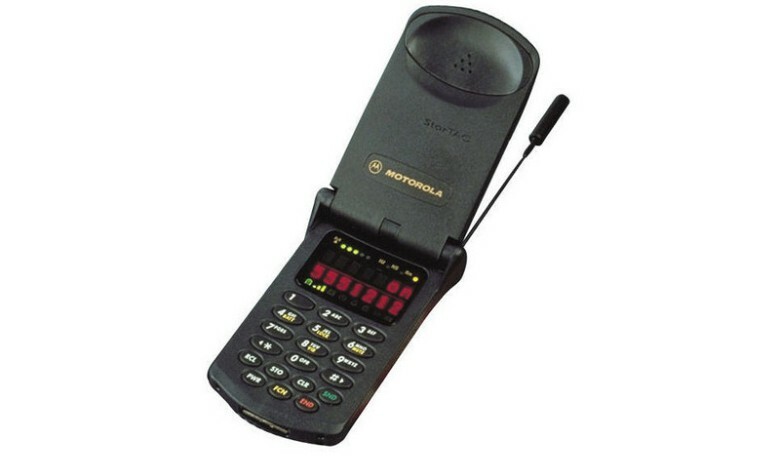 The StarTAC was the world’s first clamshell flip phone and one of the first major mobile phone success stories. It sold over 60 million units, gaining widespread praise for its small size and stunning design (which was inspired by Star Trek, hence the name). Even more amazingly, the StarTAC cost a ridiculous £1400 when it was first released. Think about that next time you complain about the cost of an iPhone! The big daddy. Over 160 million people owned a 3210, and over 160 million people probably wish they still had one. It was a revelation at the time: there was no exterior aerial and it was surprisingly compact at the time too. Most importantly, it was completely indestructible too. Not even submerging it in a glass of water and running it over with a steamroller could stop the 3210 from sending a text. Alright, so by today’s standards you might as well be carrying a slab in your pocket, and typing on it was difficult (it took 5 key presses to type the word ‘the’, for example), and it was slow too. But it was our slow, difficult slab – and we still love it. 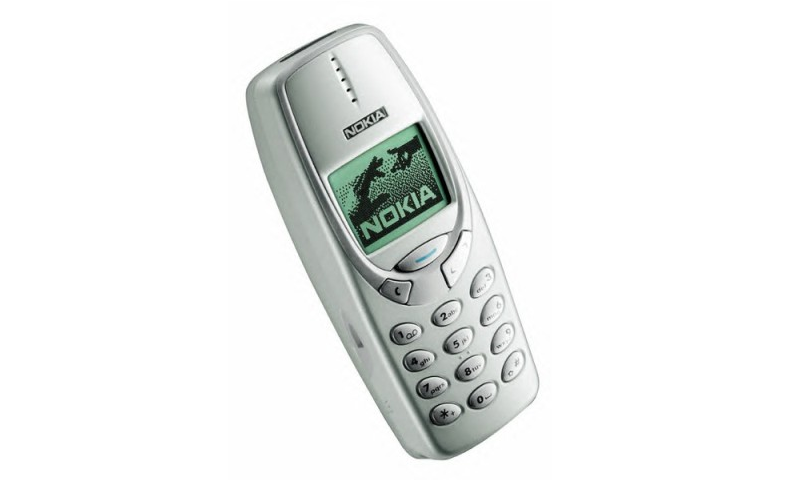 The 3310 was like the 3210 but smaller, better and even more indestructible. 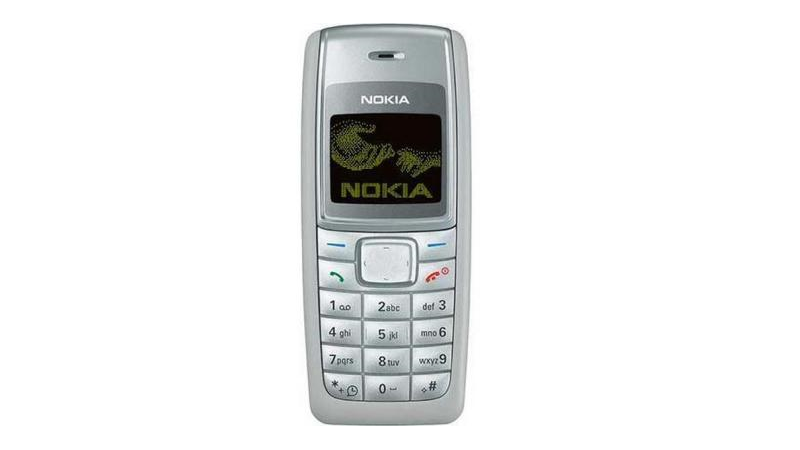 It had a lovely slimline design, with a slightly bigger screen and the ability to send longer texts than ever. You could also make custom ringtones, which always sounded like a dying robot falling down a bottomless pit no matter what combination of notes you used. If you didn’t feel like creating your own ringtone, you could download popular hits like Sweet Child O Mine as sung by a dying robot falling down a bottomless pit. AKA the coolest phone ever made ever. It looks like something from a 80s cyberpunk film, the kind of thing Harrison Ford would carry around while shooting replicants. And that’s clearly what everyone in the mid-2000s wanted from their phone as the Razr sold over 100 million units worldwide, despite actually not being that great to use. Not bad considering it was supposed to be a limited edition! A few months before the iPhone came along and changed phones forever, the catchily-named Sony Ericsson W880I was the coolest kid in town. With a sweet brushed metal finish, Walkman branding and a 2MP camera (which was great at the time! 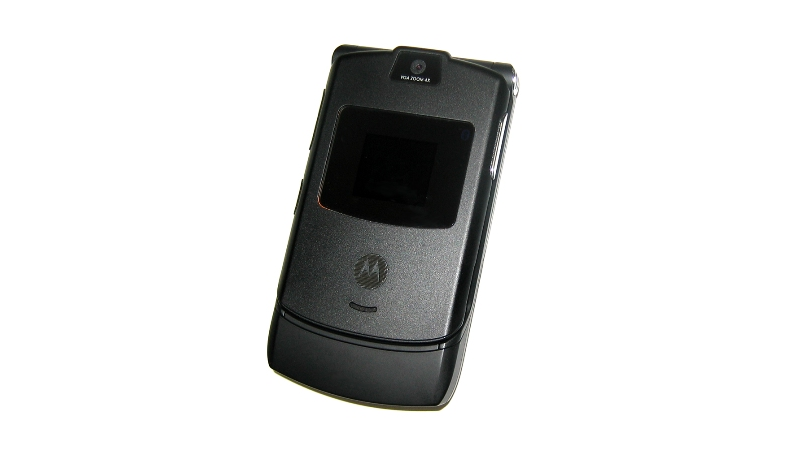 ), the W880I was practically a smartphone. Unlike most smartphones, though, it could last around a week on a single charge! The phone that started it all was released in 1984, which is quite apt given how much everyone worries about privacy on their phones these days. Back then, though, things were much simpler. The DynaTAC was humungous and probably capable of causing blunt force trauma but was the chic gadget of the 80s, a symbol of wealth and power. It was also fairly useless compared to today’s technology. It took ten hours to charge, offered about 30 minutes of talk time and could store a whopping 30 numbers. At the time though, it was revolutionary. And so it should have been, considering it cost $3,995 (nearly $10,000 in today’s money!). Believe it or not, there was a time when people loved BlackBerry phones so much that they were nicknamed ‘CrackBerry’, despite the fact that there wasn’t actually that much to get addicted to – especially compared to modern distractions! 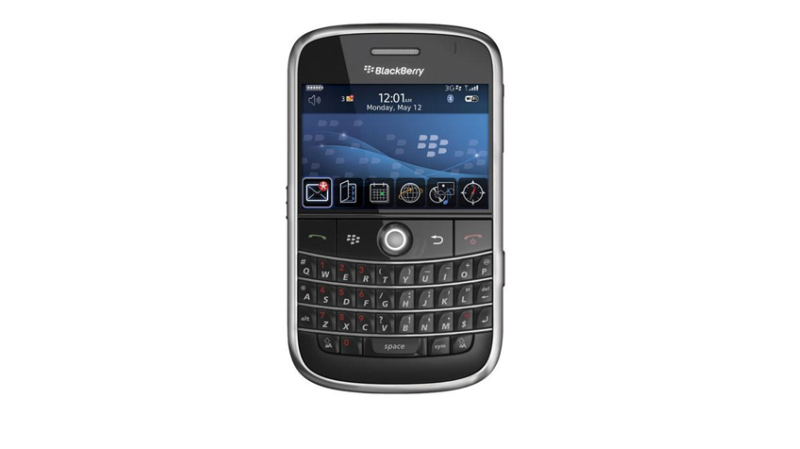 Still, people loved them and the Bold 9000 was probably the best of the bunch with the classic Qwerty keyboard, a much improved interface and a 2MP camera. It also featured BBM AKA WhatsApp before WhatsApp was a thing. 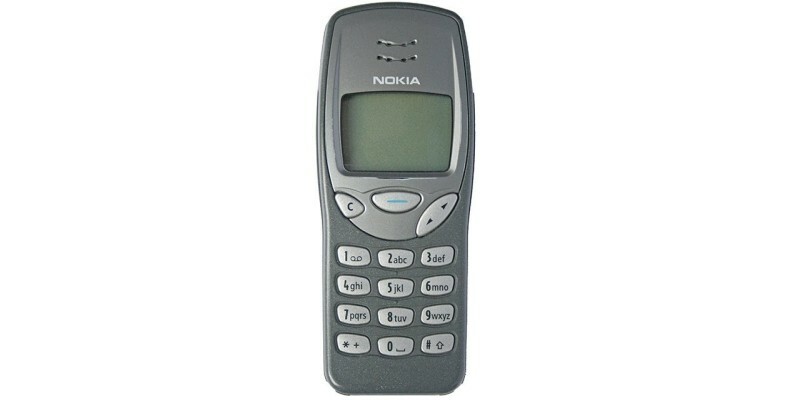 On the face of it, the Nokia 1110 isn’t that remarkable. It was released in 2005 yet looks about as advanced as a 3210. It had a monochrome screen, ugly rubber keys and a speaking alarm was one of the most talked about features. So why is it on this list? Simple: it’s the best selling phone of all time, with around 250 million units sold. Despite its rubbish features, the 1110 was extremely well-priced and sold incredibly well in developing countries as a result. The K750i was the ultimate all-rounder, with a 2MP camera, a Walkman-branded music player and 100MB of storage, which is enough for about…erm, an album of music. The battery lasted over a week, it had Bluetooth so you could share videos with your mates at school and it even had a rudimentary version of iTunes called PlayNow, which allowed you to play a snippet of a track and then pay £3 (!!!) if you wanted to download and hear the rest. The N95 would have been one of the world’s most popular phones if Steve Jobs didn’t step onto a stage a few months later to launch the iPhone. With a 5MP camera, the N95 was one of the best camera phones ever made. In fact, it had a much better camera than the first iPhone too. But the keypad typing and non-touch navigation was made to look like caveman technology by Apple’s device and the N95 didn’t sell as well as it should. If you ever go back to a retro device, though, this is a decent bridge between the past and the future! What is your favourite mobile phone ever? Share it with us in the comments!